Get the Full StoryFemale bantamweight contender Ketlen Vieira explains how she had to endure a rib injury while preparing to take on Cat Zingano at UFC 222. Rising women s bantamweight contender Ketlen Vieira had to handle a painful rib injury during her final days of preparation to take on former title challenger, Cat Zingano, at UFC 222, in Las Vegas, Nevada. She managed to outpoint Zingano and bring home a split decision win to put herself in serious title contention. However, as Vieira told Combate, she was used to fight injured during her judo career, which helped her cope with the pain. There were times I really felt it, but I tried to take a deep breath and I would think about my entire team and how much they deserved that win, Vieira said. I had never fought injured in MMA before, but I fought injured many times in judo. I even fought with one arm. My rib is really sore now that the fight is over, I took a lot of anti-inflammatories to help with the pain and when mixed with the adrenaline, I didn t feel it too much. Vieira is not exactly sure when the injury occurred, but she believes it was just before her trip to the United States, in the final days of her camp. As she revealed, the 26-year-old tried to hide it from her coaches and from Andre Pederneiras, Nova Uniao s head coach. I think it was 10 days ago, Vieira said. It was the Wednesday before I came here. I started feeling my rib in my last training session and even my coach asked me about it. I said I was okay and went to the bathroom to cry. It was my last session and I hurt myself. He Pederneiras talked to me and said it would be fine, but I was very worried about it. I knew I was phisically ready, but my biggest fear was to get hit there and just not be able to take it. Now, with a win over a former title challenger and still undefeated, Vieira wants nothing else but a fight for the title, which is something she believes she s earned. I do want to fight for a title in my next UFC fight. I just want some time for my rib to heal. I can wait for the winner of Amanda Nunes vs. Raquel Pennington. The media talked about whoever won my fight would fight for the title, but the UFC never spoke to me. I m on a four-fight win streak, over tough opponents who fought for titles before and one of them defeated two champions, Miesha Tate and Amanda Nunes. I think I earned it, don t you? 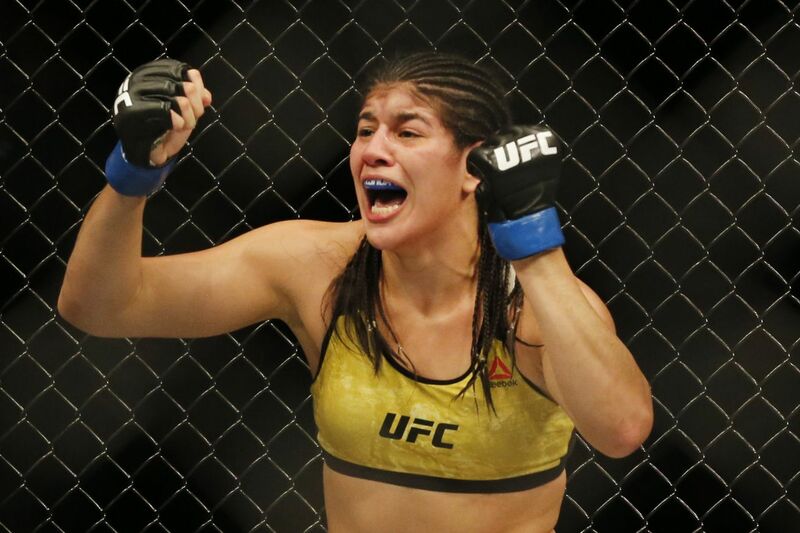 Ketlen Vieira s 10-0 4-0 UFC record includes victories over Kelly Faszholz, Ashlee Evans-Smith, Sara McMann and most recently the split decision over Cat Zingano at UFC 222.